At 3:09 PM Tony Parker has signed with the Charlotte Hornets, leaving the San Antonio Spurs after 17 seasons. Spurs wanted Parker back, but Parker will take on a significant role with Hornets behind Kemba Walker. San Antonio Spurs July 6, 2018 Parker will have a piece of his time in San Antonio with him as he sets up camp in Charlotte. Former Spurs assistant coach James Borrego is now coaching the Hornets. I talked to Dejounte Murray last summer league about the mentoring he received from Tony Parker. Cayleigh Griffin July 6, 2018 The veteran point guard was drafted by the Spurs with the 28th pick in 2001. He’s been with the Spurs for four of its five NBA championships and is a six-time All-Star. 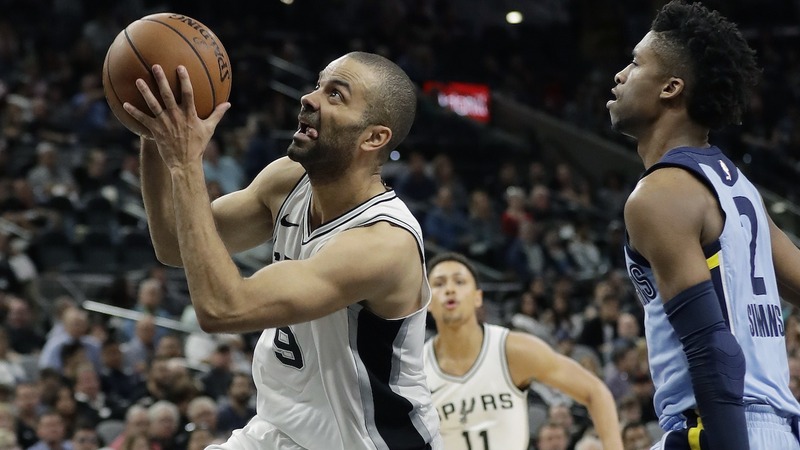 Four-time NBA champion Tony Parker is leaving the San Antonio Spurs after 17 seasons, the French guard agreeing to a two-year deal with Charlotte worth $10 million according to multiple reports Friday. The Charlotte Observer, San Antonio Express-News and ESPN reported the deal, each citing unnamed NBA sources, to signal the 36-year-old playmaker’s iconic era with the Spurs had ended. Since being selected with the 28th overall pick in the 2001 NBA Draft by the Spurs, Parker had been a standout and leader for San Antonio, helping spark the Spurs to NBA crowns in 2003, 2005, 2007 and 2014. The six-time NBA All-Star was named NBA Finals Most Valuable Player in 2007.Parker called Spurs coach Gregg Popovich to inform him of his decision to leave, ESPN reported, saying the Spurs wanted him back but that he would have a greater role with Charlotte behind Kemba Walker. Joining Charlotte will unite Parker with a friend and countryman in swingman Nicolas Batum, and new Hornets coach James Borrego is a former Spurs assistant. Parker, who helped France win the 2013 EuroBasket title, played a career-low 19.5 minutes a game last season for the Spurs with a career-low 21 starts and career-low 55 appearances as the Spurs began developing young point guard Dejounte Murray. In 1,198 regular-season games over 17 seasons with the Spurs, Parker averaged 15.8 points, 5.7 assists and 2.8 rebounds a game.